This is a Super Cool Mid Century Danish Modern Teak Credenza or Sideboard. 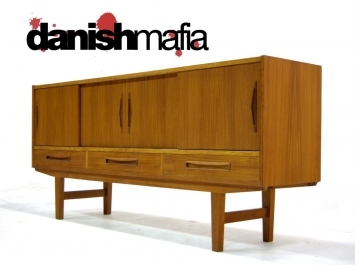 This piece is the perfect for your flat screen Television or in your Mid Century Modern Dining Area. 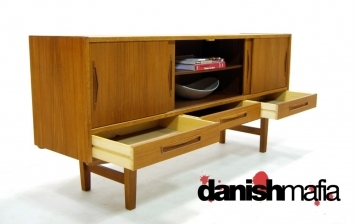 Rich Teak coloring and wood grain throughout. 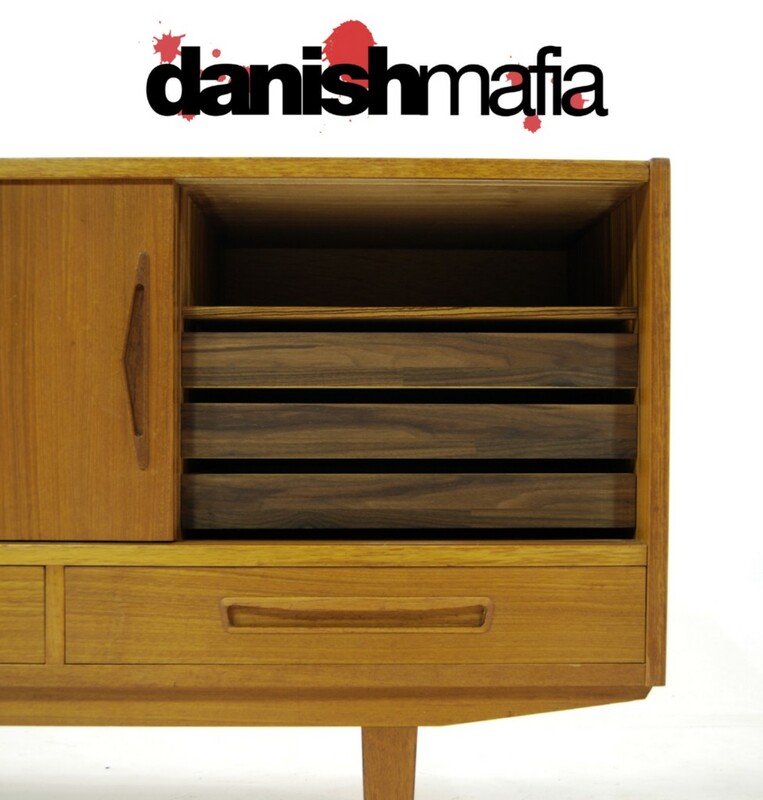 This piece features sliding doors with plenty of interior storage for your media components or your fine china & silverware. 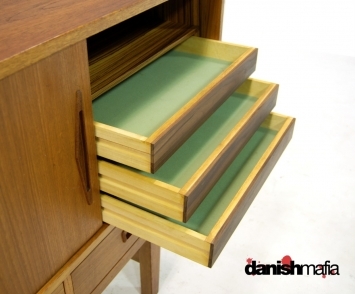 A series of pull out drawers on the far right interior for added storage. This credenza even has 3 pull out drawers on the bottom, great for CD’s, DVD’s, or your fine dinnerware. Tons of interior space with adjustable/removable shelving, especially the middle section. Sitting atop 4 solid Teak legs gives this piece the Modern floating look that is so sought after. 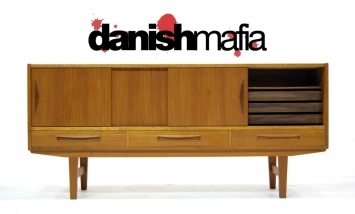 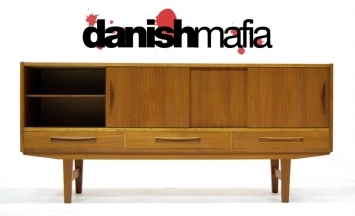 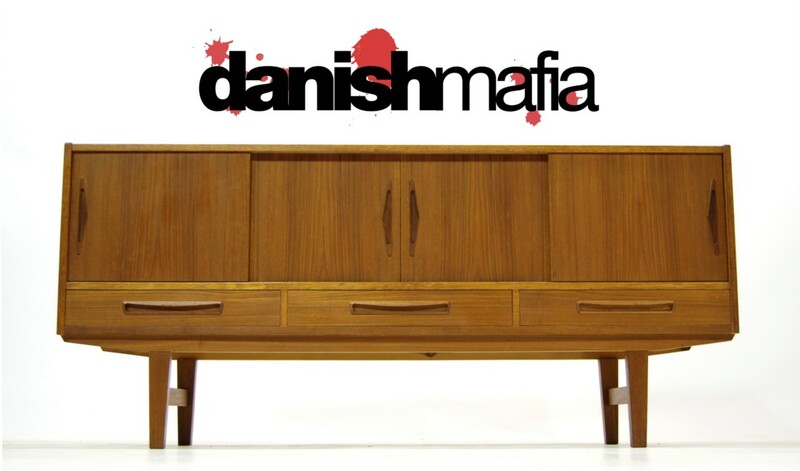 We have other Danish Credenza’s in both Teak & Rosewood available on our website. Check it out, everything is ON SALE. 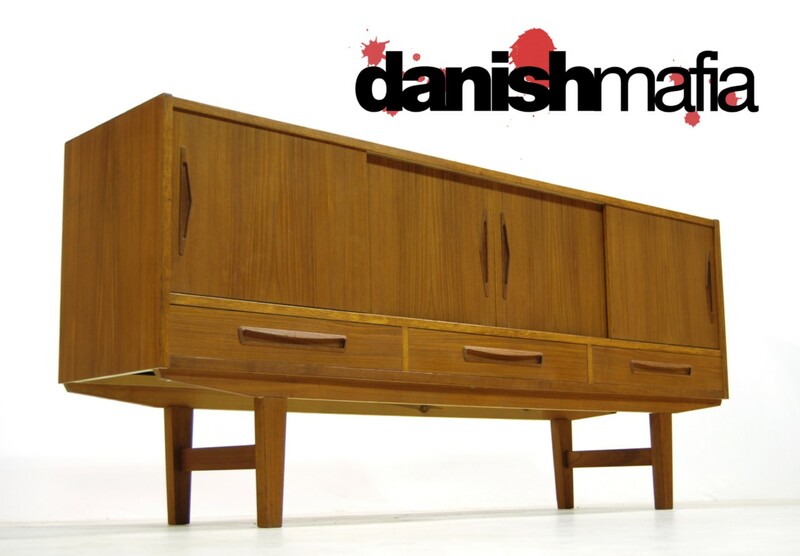 Overall condition is Excellent, vintage condition !! Doors and drawers operate smoothly. 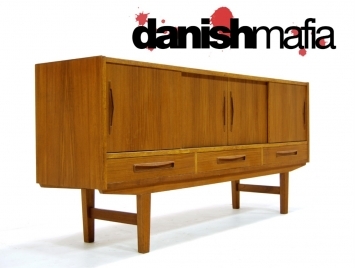 It does have a few, light scattered marks consistant with age, but nothing that takes away from the beauty or value of the piece. Contact us for detailed photos for condition as we always try to show the worst of any age related wear. 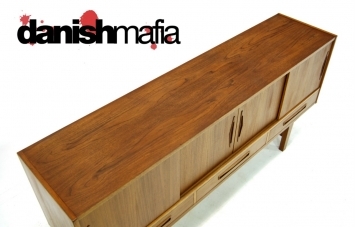 #1- With our Limited Time “END OF SUMMER SPECIAL“ We can have this piece Custom Pro Packed & shipped right to your home for a discounted price of approx. $135. 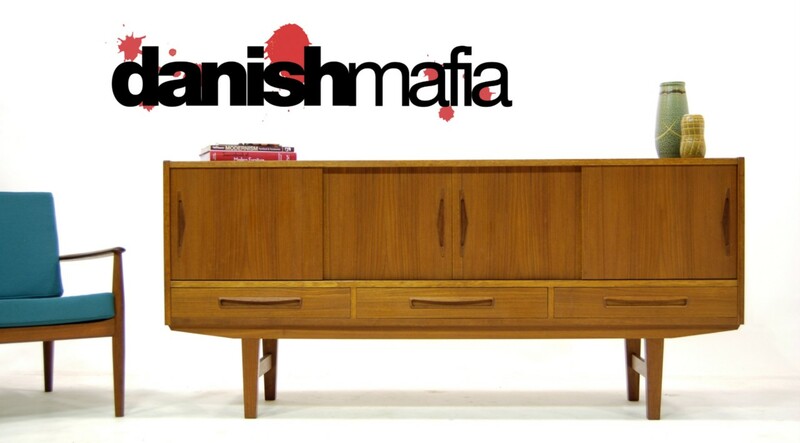 Contact us with your zip code for details and an exact price prior to purchasing.